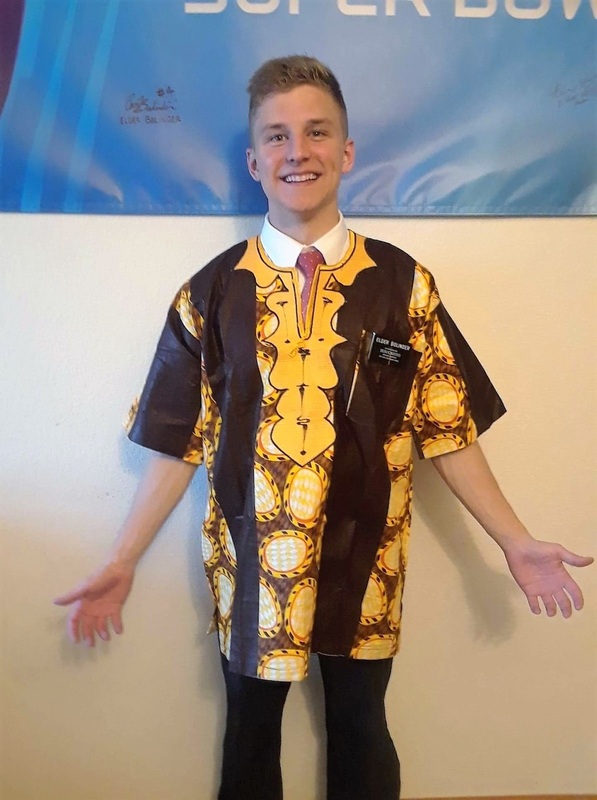 New African Shirt From Friend Derrick in Faribault! Hola friends and family. Cómo están? The Lord has really blessed us in our efforts this week because we’ve had some sweet lessons with lots of families! We found this family through someone the Sisters used to teach way down in the south part of our area. We taught the wife, Emma, and Abuela. There were friends and family milling around in the house/backyard, but it was super cool because when we said the prayer it was just the two of them and when we finished the prayer and said amen all of a sudden there were like 8 people standing there who all joined in! I love how inviting Hispanics can be! We also had a sweet family home evening with a family in our ward (The Cisneros) and the Flores family. And they invited their friends!! It’s been amazing to strengthen our relationships with the members this transfer and help them find opportunities to share the gospel. If you have any hesitation with sharing your testimony, inviting someone to a church activity, whatever it may be - go for it! You will be blessed!! Ok, last one. We had a lesson with our recent convert Israel and his son. 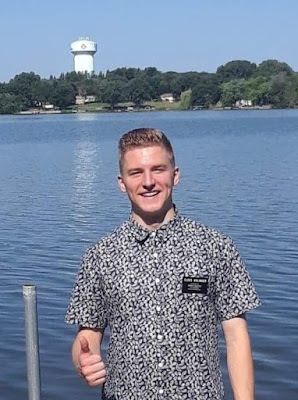 Half way through his Tío walks in named Pepe, who used to take the lessons last year but then moved and didn’t really have contact with the missionaries. But now he moved back in with Israel! So, now we are going to teach him from the beginning again and we’ll see where it goes. Super exciting! We had exchanges with the Hmong elders. Learned a new phrase - Kuv tshaib plab.. 😂 Had a bomb day of finding, we went to this trailer park and made friends with this little Hispanic dude on his bike, Geo, and he was just telling us where all the Hispanics lived it was great haha. There was also a Quinceañera for someone in the ward that we were invited to para comer. It’s basically like a wedding without the groom! It was cool to see a bit of that part of Hispanic culture on my mission. I also ran into some members from New Brighton I haven’t seen in forever!! I’ve been pondering recently about a scripture I’m sure most of you are familiar with. “5 If any of you lack wisdom, let him ask of God, that giveth to all men liberally, and upbraideth not; and it shall be given him. We share this verse with people almost every day, but this week I’ve just been thinking of how grateful I am for the principle of revelation. God loves us all and wants to give us the knowledge we lack. He will always give us answers to our prayers if we turn to him in faith. There is such a difference between the people we teach who are willing to pray to seek answers and those who aren’t willing. I am forever grateful for the things I know to be true through prayer. I truly do know that God lives and answers our prayers! Well, the grind continues. Hope you all have a wonderful week! I apologize for the lack of pics this week, but more soon to come next week. Stay tuned.